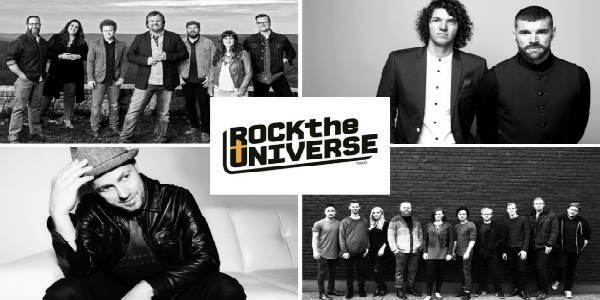 On Sept. 7 and 8, Rock the Universe is back for a weekend filled with faith and worship at Universal Orlando, and they’ve announced the line-up of headliners. 2018’s incredible talent line-up features some of the genre’s biggest names like Casting Crowns, Jesus Culture, and TobyMac, all of whom will perform on the Music Plaza Stage inside Universal Studios Florida. Plus, enjoy a moving Candlelighting Ceremony on Saturday and the FanZone presented by Coca-Cola where you can catch more live performances and electronic dance music spun by Sarah Reeves and DJ PROMOTE. Your Rock the Universe admission also includes access to Universal Studios’ thrilling attractions like Revenge of the Mummy, Hollywood Rip Ride Rockit and the all-new, high-octane ride, Fast & Furious – Supercharged. Tickets and vacation packages for this event will go on sale soon. For more information, visit universalorlando.com.